Digital pH meters are an inexpensive means to provide accurate pH readings in your aquarium but regular maintenance must be exercised to maintain their accuracy. Never place your meter in an area of high moisture or where the chance exists where it can get wet. Electronics and water are not good friends. There are many grades of probes available in the industry ranging from hobbyist to lab grade. A meter and probe with an accuracy of 0.2pH is very suitable for our needs and is more accurate than most types of reagent based test kits. Probes should be cleaned at least every three months to ensure their accuracy remains constant. To clean a probe properly takes a little time and these easy to follow steps will guide you how to clean your probe properly. Rinse the probe with RO water and wipe clean with a clean soft cloth. Give it one more final rinse in RO water. Soak the probe for five minutes in a mild soap solution such as liquid dish soap. Carefully scrub the probe with a toothbrush being careful not to scratch the glass sensor. Rinse again in RO water and wipe with a soft clean cloth. Now soak the probe in a 5% HCI (hydrochloric/Muriatic acid) solution for not more than five minutes. Rinse well with RO water and wipe clean with a clean soft cloth. Now it is time to calibrate your probe. It is recommended that at least two calibration solutions be used. Use a solution of 4.01 for the low end and 7.01 for the high end adjustments. A solution of 10.0 may also be used in place of the 7.01 solution. 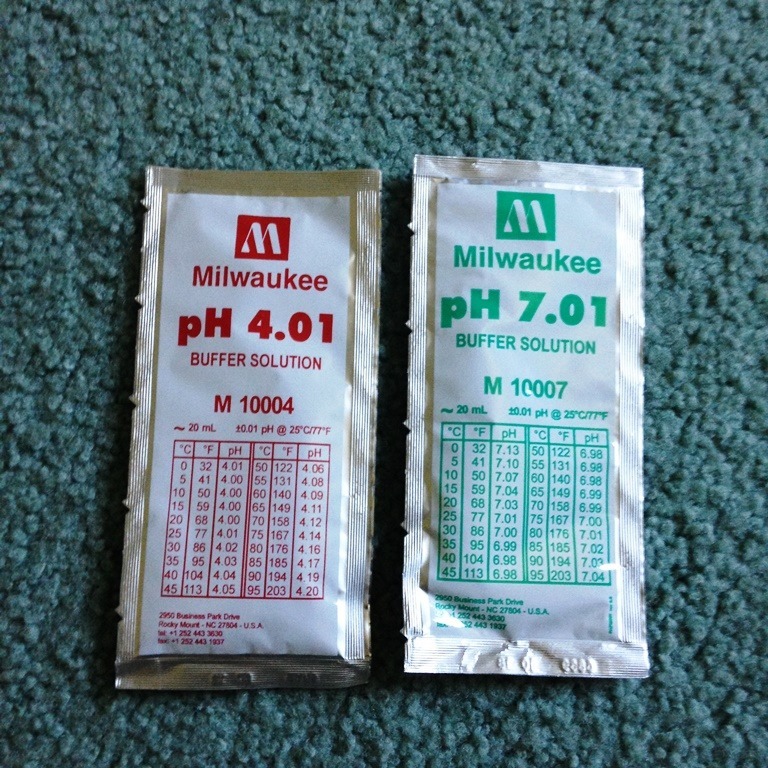 Most quality pH meters will have a calibration adjustment for 4/10pH and 7pH. Connect the probe to the meter and place the cleaned probe in the pH 4.01 solution first and let it sit for 30 seconds. 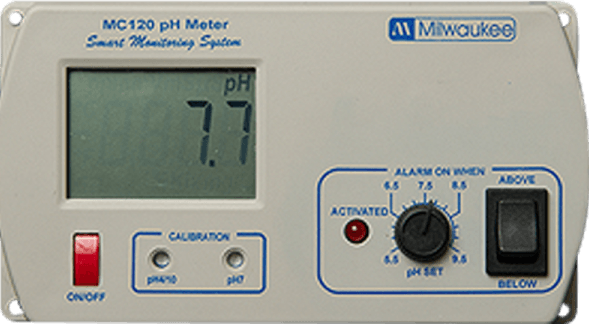 Adjust the low pH calibration so your meter reads 4.01 or as close to that number as possible. Now rinse the probe in RO water and dry. Place the probe in the pH 7.0 or pH10.0 solution and let it sit for 30 seconds. Adjust the high adjustment on your meter to read 7.01 or 10.0 depending on which solution you are using. Your pH meter is now cleaned and calibrated for accurate pH measurements.